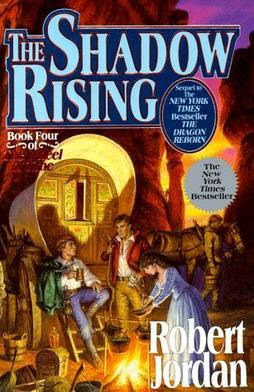 This month I read books 4 and 5 from the Wheel of Time series by Robert Jordan and Skyward by Brandon Sanderson. 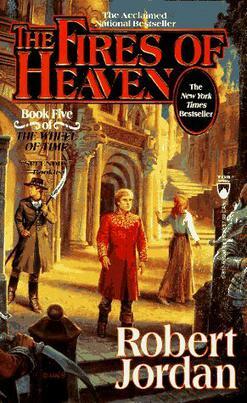 I'm a longtime Sci-Fi and fantasy lover, and the Wheel of Time series is considered a classic epic. When Amazon announced that they would be adapting in into a Game of Thrones style high-quality live action show, and when John said he wanted to read it, I decided to take the plunge into the 14 book saga. I started a few months ago, and have been reading about 2 per month, though book 5 is dragging a little bit. Overall I'm liking the world and the characters, but the beginning of each book is always a slow start, and I am definitely getting tired of the men vs. women culture of the world that just never ends. It gets really tiresome when every action by a character is punctuated by "men just don't understand!" or "women are so confusing!" Of course, the men vs. women thing is built into the entire magic system and the history of the world, with the women and men's magic being very different, and the men's magic being not only responsible for an event called "the Breaking of the World" but also harboring a corruption that will cause male magic users to go mad and then die. So I get it, but I'm still tired of it. Also, I expected a Game-of-Thrones level of characters dying off every book, but so far pretty much all the main characters are more or less okay. We'll see how long that lasts. 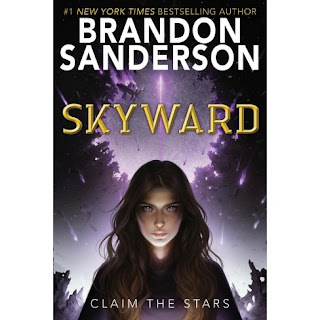 I read Skyward as a break between WOT books 4 and 5, to let John catch up to me in the WOT series, but it only took me 2 days to read so it wasn't much of a break, haha. I've read a ton of Sanderson's books including his Mistborn series, the Wax and Wayne books, and his Oathbreaker Series, (all of which are in the same universe, apparently) so I wasn't surprised that I really enjoyed Skyward. It read as very YA in it's coming-of-age theme, but there was lots of complexity and character growth, and I was very glad that he didn't shy away from killing off characters in dangerous situations where characters would definitely die. Once she grew up a bit I really enjoyed the main character as well, and the world has lots of room to expand into a whole interesting galaxy in future books. I did think it was a one-off story when I started it, but I don't know why I thought that because Brandon Sanderson doesn't really do that, haha. Overall it was a quick, exciting read and I really enjoyed it. Over the past year Gunnar and I have been watching Adventure Time season by season, and in January we finished Season 10, the final installment in the series. It was bittersweet saying goodbye, but I enjoyed the adventure. (Pun Intended!) The writers did a really great job of answering all the "big" questions like why is Jake stretchy and who are Finn's parents and all that, and maintained the wacky "what just happened?" feeling that you get at the end of so many episodes throughout the entire run of the show. One of our favorite characters was definitely Lemongrab (shown here), voiced by Justin Roiland of Rick and Morty and just a bizarre, outrageous character overall. We constantly throw Lemongrab quotes at each other around the house from "How dare you," to "We warned you about us!" We also watched Into the Spider Verse with the boys and even though I'm tired of super hero movies, I really liked it! It was funny and charming, and the comic-book style animation felt fresh. Now we're halfway through Punisher season 2 and it's...just okay. I am tired of super hero stuff, and Punisher is very gory without the fun of some of the others. The acting is good, the action scenes are great, but it just doesn't seem like Frank Castle is super invested in whatever crusade he's on compared to the first season when it was very personal. The character was great when paired with Daredevil (and was one of the best things about Daredevil season 2 in my opinion) but on his own is a little one-dimensional for me. But Gunnar is determined to watch all the Netflix Marvel shows so I might as well stick it out. Santa got Jack a tablet for Christmas so that we can play Minecraft together on the same world! We've been playing together on some LAN creative worlds and have a survival realm together. Honestly, playing Minecraft with a 6 year old is exactly what you think it would be like...in survival I spend a lot of time keeping him from dying, and in creative he just wants to wreak havoc and make fish spawners all over the place. When he started to grief my stuff in creative though, I offered to try a PVP (player vs. player) to see who was really the better player and...yeah I killed him like 8 times in a row until he was like "okay, sorry for being a jerk, I won't destroy your stuff anymore." So now we work together and don't destroy each other's stuff. 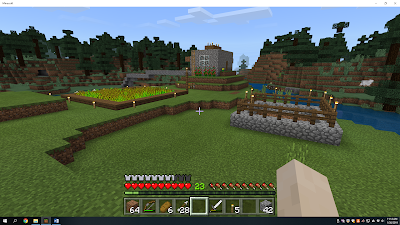 I've been playing Minecraft since it was in Beta many years ago, before Jack was even born. I have some massively awesome castles in some of my solo worlds that I will someday screenshot and post here, and I am constantly surprised by how much I continue to love the game, even all these years later. 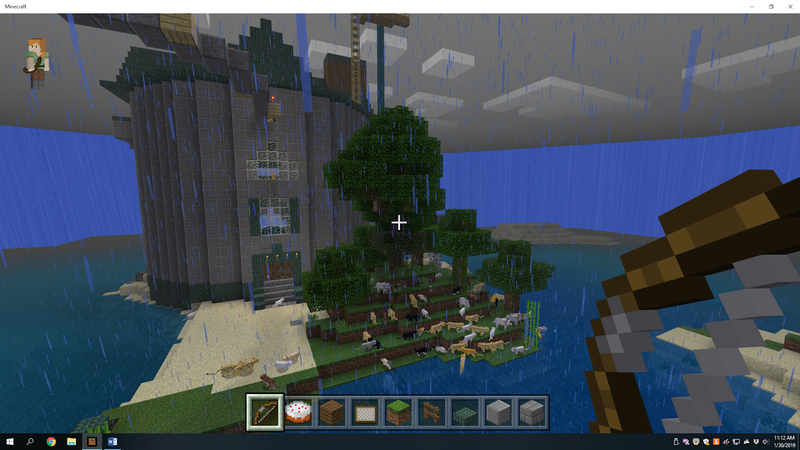 There's something very relaxing about building in Minecraft creative mode, and I find survival very cathartic and satisfying too. I love pretty much all the changes that have been made, except I miss some of my old outdated texture packs from back in the day. The community has changed a lot over the years and I do have opinions about Microsoft, but I'm also glad that the Java version remains largely in the hands of the community. P.S. Apparently Jack isn't always glad to play with me either, since he told Gunnar that he wants to start a new creative world for himself because he's afraid "mama will just build castles everywhere!"